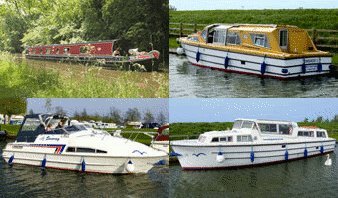 Start your boating holiday from Bridge Boatyard in the very heart of the peaceful and picturesque Fenland waterways. We have a range of holiday cruisers from 2 to 6 berth, plus two narrow boats for hire which can accommodate up to 4 people. All of our boats are well-fitted out to make you holiday a comfortable and memorable experience. A holiday afloat on the Cambridgeshire waterways opens up a whole new world of relaxed pleasure as 150 miles of tranquil, unspoilt rivers (including the River Ouse and River Cam) wind gently through lush meadowland and low-lying fens, passing some of Britain’s loveliest cities and towns. Your holiday can start on a Friday, Saturday, Monday or Tuesday, with pick up times from 1pm (instruction available from 2pm). Holidays are for 3, 4 or 7 nights, or combinations to make a longer break giving you chance to see more of our waterways. Pets are welcome on most boats. The area is ideal for fishing (in season) and bird watching. There are also many beautiful walks for those wishing to explore on dry land as well. Parking is available for 2 cars per booking, and rowing dinghies are available for an extra charge. Bridge Boatyard is a family run business which was established in 1972 here in Ely on the River Great Ouse by Ken Wenn. Ken had previously worked as foreman in the boat workshops of Appleyard and Lincoln Boatbuilders. We started with small day launches and rowing boats for hire before moving onto a fleet of holiday hire cruisers. Originally the fleet consisted of mainly Elysian 27 cruisers - this was later increased to include larger family holiday boats, using Hoseasons Holidays as our letting agents. Ken carried on in the business until his retirement in 1990 when he handed it over to his sons Philip and Chris. As well as the cruisers, we have four narrowboats - Chianti, Shiraz, Muscadet and our most recent addition, Merlot. We look forward to welcoming you onboard one of our boats for your holiday afloat soon!